Those who have assisted me have been extraordinarily kind, descriptive and tentative. The private beta test has enabled us to learn about our users’ habits and needs. We’ve also learnt about accessibility features and techniques which are useful to people with varying degrees of visual impairment. The Sightlings and VIPs who were part of our beta test were very patient with us and we welcomed their continuous feedback. It's interesting to know that the beta testers were based across 37 countries and multiple time zones! We've successfully translated the app in English and Italian, with other languages such as Spanish and Portuguese coming soon. Together with out testers we've built an app that is ready to confidently challenge its competitors in the accessible app market. The BeSpecular App Release will open up the beta test to the greater public. The app will be free to download on iOS and Android whereby users will register an account as either a VIP or Sightling. We’ve learnt how important it is to manage the number of users on the platform to ensure for optimum efficiencies. As more VIPs wish to use the BeSpecular app, more Sightlings are needed to join the community. Once a VIP registers their account on the BeSpecular app we’ll activate their account as soon as there’s enough Sightlings on board to volunteer. After registering as a Sightling, a quick click-through will walk the Sightling through the various features of the BeSpecular app and serve as informal training. I love the thought I may be able to help people live a happier productive life. The BeSpecular app has proven to be a simple and fast way for VIPs to receive answers to their questions. For Sightlings, the app is a convenient and fun way to volunteer and help their greater community. We feel that having a quality service for both Sightlings and VIPs is imperative. The BeSpecular app will encourage VIPs to rate how helpful Sightlings’ replies are. Sightlings in turn will rate the politeness of the VIPs’ questions. Throughout the beta test we've received amazing feedback from our visually impaired and sighted users. With each testimonial we collected we soon realised that they needed to be shared. You can read our testimonials from people all the way from Australia, UK, USA, Italy, and South Africa on our website! 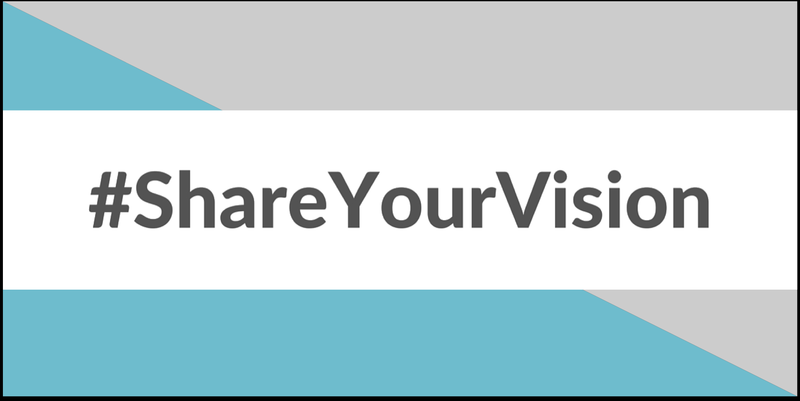 We’d like to encourage everyone to download the BeSpecular app from July 1st and #ShareYourVision! The app will be available in the following English-speaking countries: Australia, UK, USA, Canada, and South Africa. We have also translated the BeSpecular app into Italian enabling users in Italy to also use the app. As the popularity of the app grows, we'll translate BeSpecular into other languages.